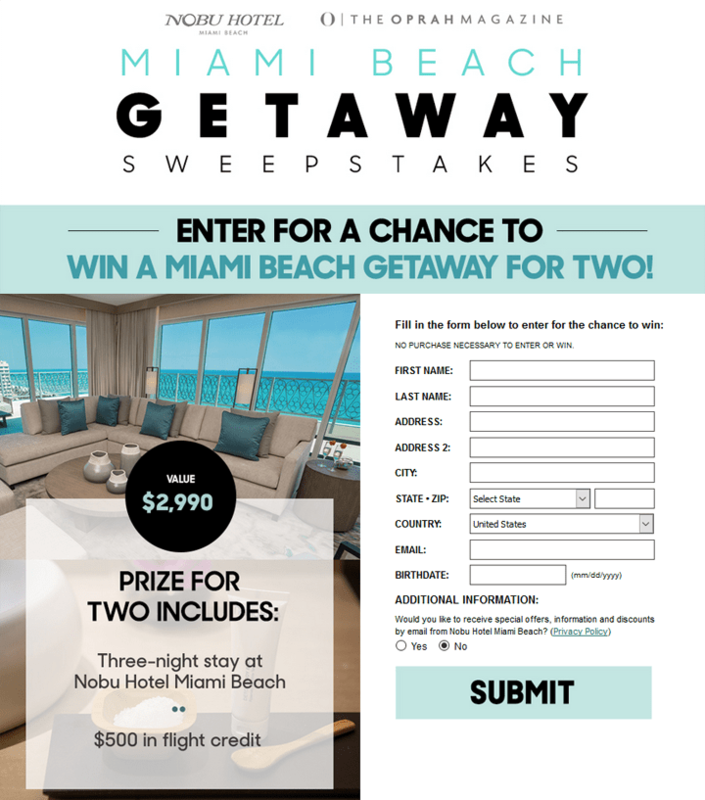 The Oprah Magazine Miami Getaway Sweepstakes is open to legal residents of the 50 United States and the District of Columbia, who have reached the age of 21 in their state or territory of residence. The Oprah Magazine Miami Getaway Sweepstakes ends on November 12 at 11:59 PM (ET). Go to oprah.com/miami on a computer or wireless device and fill out form. Limit one (1) entry per person.